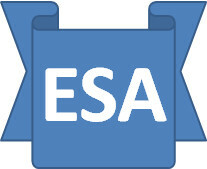 It is estimated that approximately 100,000 claimants will lose entitlement to contributory ESA in April 2012 as a result of the Government’s proposals to limit receipt of contributory ESA to one year for those in the Work Related Activity Group. Of those 100,000, who may be affected immediately, an anticipated 60% are expected to be fully or partially compensated by income-related ESA so will retain entitlement to ESA. The remaining 40% will no longer receive ESA benefit payments, but will be able to retain National Insurance credits by becoming an ESA credits-only claimant. They may also see increases in other benefits such as tax credits and Housing Benefit.